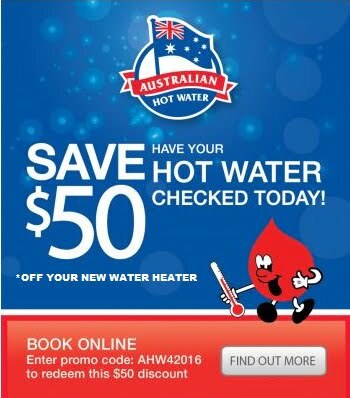 Have your hot water checked today and receive $50 off your new water heater. Simply quote the promo code: AHW42016 to redeem this $50 discount off your new hot water heater. *Conditions apply, not to be used in conjunction with any other offers. Code must be entered in online booking form to receive cash back.